the healthier we will be as individuals and communities. Although a lot of us aim to have a healthy diet, the pressure in our busy lifestyle often holds us back. It’s all too easy to be tempted away from healthy eating by unhealthy convenience food. However, a poor diet can weaken our wellbeing and reduce our ability to lead an enjoyable and active life. Sadly, at times unhealthy dietary habits can even lead to more serious outcomes, such as developing diabetes – a disease on the rise worldwide and especially common amongst South Asian communities. In order to tackle this trend, the World Health Organisation has announced April 7 as the World Health Day; and this year the global focus will be on raising awareness and prevention of diabetes. Being a proud supporter of healthy-eating, we would also like to take this opportunity to give you some useful facts and tips to help you make healthier food choices, which can not only prevent diabetes, but also reverse the symptoms all together. First let’s understand what is diabetes. Diabetes is a failure of the body to control the amount of blood sugar, which in a healthy person is balanced and kept within safe limits through insulin. In the long term, high blood sugar levels can cause damage to our eyes, kidneys, heart, skin, and nerves, amongst other organs, and lead to infections or other complications. There are two stages of diabetes. In type 1 diabetes, which is relatively uncommon, the body does not produce insulin, and there is a need for insulin injections for the body to function properly. Type 2 diabetes develops when not enough insulin is produced, or we stop responding to insulin correctly, and is by far the most common (90% of worldwide cases). The good news is that type 2 diabetes can be prevented and controlled by our dietary choices. Getting more informed about our family history of diabetes, I learned that I have a relatively higher risk of developing the disease. This encouraged me to reach out to professionals and get advice, do more research and finally review my lifestyle for good. I found that simple changes in my diet not only could prevent diabetes, but also improve my overall health and wellbeing in general, warding off other potential diseases in the future. Increasing the intake of vegetables and foods high in dietary fibre. Many of the carbohydrate staples in a modern diet such as potatoes, rice, pasta, bread and chapattis are good sources of energy and a necessary component of a balanced diet. However, whole grain versions such as brown rice and whole wheat chapattis give a slower, more controlled energy release into the bloodstream preventing the blood sugar surges produced by the unrefined white flour and rice versions. This is a great way to keep you feeling fuller for longer and helping you to smooth out swings in blood sugar. 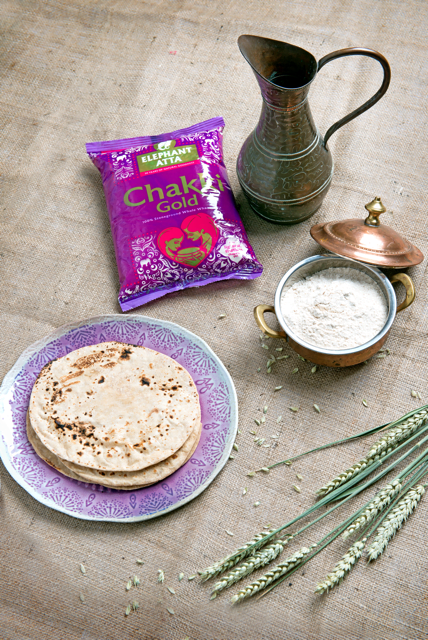 Using Elephant Atta’s Chakki Gold wholewheat flour is a step towards a healthier diet without compromising on taste. 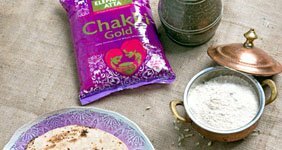 Chakki Gold gives you all the healthy goodness and whole bran fibre you’d expect from wholewheat flour, but its texture is beautifully soft and fluffy, similar to that of white flour, because it has been do finely stone grounded. Taking simple steps like this will give you the confidence to keep your family healthy, while still enjoying the perfect family-favourite recipes as always. If you would like further advice on healthy-eating, contact us through the website and we will do our best to help you. Blog Post By Indian Chef Anita Sharma-James.